Back in 1995 the Descent series threw up to four players in spaceships into a asteroid mine. You had to dodge through the mine’s tight tunnels, blasting away at enemies while staying clear of the walls. Last month the original team launched a Kickstarter campaign to fund a modern sequel. Looking for $600,000, with just hours to spare, they hit their target, exceeding it by just $1,000. Descent: Underground looks absolutely gorgeous in its modern day, Unreal Engine 4-powered getup. Again players will be deep diving into asteroids but now you’ll be free to don an Oculus Rift or HTC Vive and experience the action in virtual reality. 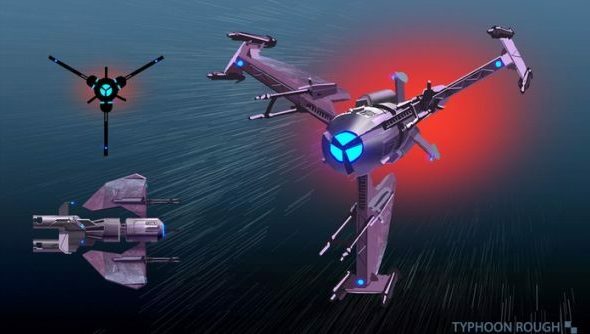 You’ll also be able to customise your ships, blast away at destructible terrain, and play in co-op or versus games online. Funding continues over on Descendent Studios’ website so there’s still a good chance they’ll start hitting their stretch goals the first of which kicks in at $625,000. As each stretch goal is hit the team will commit to adding a new ship to Descent: Underground. You can read more about the new Descent over on the Kickstarter page.